Note: This blog was last updated on November 11, 2016. This week is National Hunger and Homelessness Awareness Week. Each year, local and national organizations host events and increase advocacy efforts to raise awareness about the problems of hunger and homelessness in the United States. It’s an opportunity for organizations to educate and inspire compassion surrounding these issues. When I tell people that I work at School on Wheels I am often asked a variety of questions ranging from, “How can a child be homeless?” to “How can a family become homeless?” The truth is there is no one answer to these questions. Homelessness is often caused by the compounded effects of numerous experiences in one’s life. Michael has been jumping around from home to home over the years. He comes from a single parent family with two other siblings, ages 5 and 8. Michael is only 10 years old and is definitely the man of the family. He and his family have never really had a permanent home. As long as he can remember, he has always lived from house to house. This is quite normal for him. Throughout the years, Michael attended 6 different schools because of this transience. Michael’s mother has a high school GED. She never had a lot of positive experiences in school. Growing up she struggled in many subjects, and was never really supported to go to school. As a child she witnessed a great deal of violence in the home. Her father often took his anger out on her mother and sadly verbal and physical abuse became a part of the norm. Unfortunately, as a teenager she found herself with a boyfriend who mimicked much of the same behavior as her father, but she ended up marrying him. When she became pregnant with Michael’s youngest sibling, she decided she wanted more for her family, divorced their father and went to live with family and friends. Her employment has been sporadic though the years, the low wages she earns just aren’t enough for her family to make it out on their own. For the last six months Michael and his family have been living with their elderly great aunt. Their great aunt has decided that she can no longer have them stay with her. She can’t handle the additional expenses and already has a hard time taking care of her house and home without the addition of guests. Now Michael and his family have exhausted all of the extended family and friends that they could stay with over the years. Michael’s mom decides that there is no where else to go but a homeless shelter. 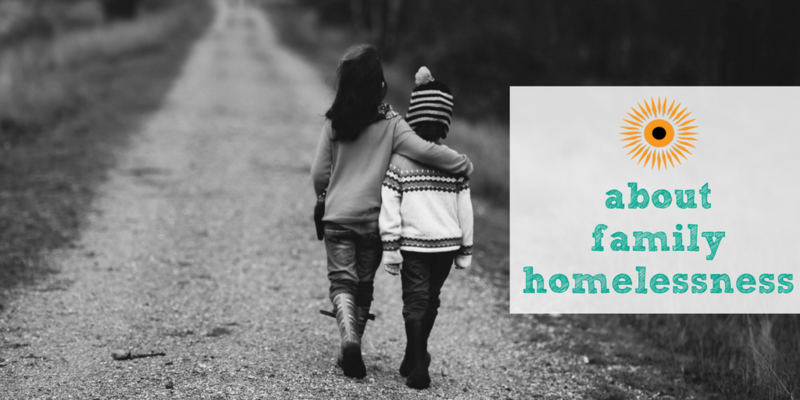 This week, take some time to learn more about family homelessness by visiting the links below and engage your family and friends in a conversation about its impact. When we can unify the community in understanding the complexities surrounding those living in poverty and experiencing homelessness then we may motivate more individuals to be a part of a solution. The latest report from The National Center on Family Homelessness shows that 2.5 million child (1 in 30) go to sleep without a home of their own each year. Click here to read the full report and find out where your state ranks. Click here and here to listen to first-hand accounts of students and families who have experienced homelessness from StoryCorps. Click here to listen to an American Free Press podcast related to child homelessness. Every year, the Coalition for Homelessness Intervention and Prevention (CHIP) participates in a point-in-time count that reflects the extent of homelessness in Indianapolis during one night of the year. Click here to see the findings from the 2016 count. 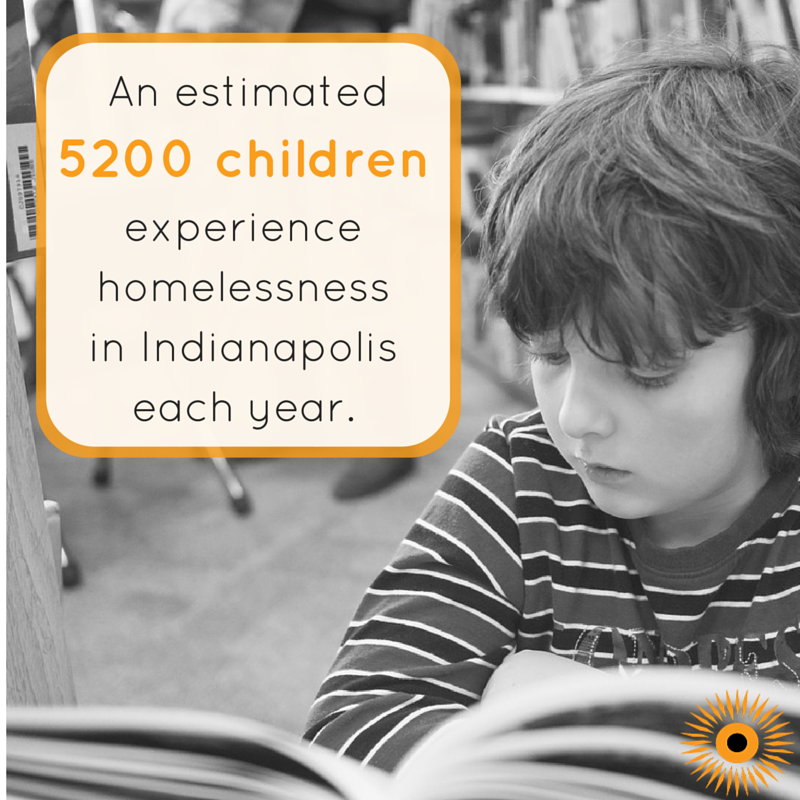 The latest statistics from the Indiana Department of Education show that over 5,000 students experienced homelessness in Marion County in 2013. Click here to read the Indystar article that gives a full outline of the extent of student homelessness in Indiana. Interested in being part of the solution to family homelessness? Apply to become a School on Wheels tutor or get involved with other local organizations that assist those experience homelessness!